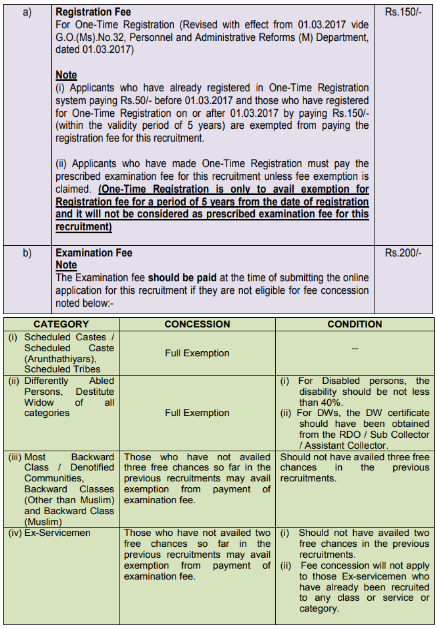 Tamil Nadu Public Service Commission recently releases an employment notification to hire 46 eligible and capable aspirants for Assistant Public Prosecutor Posts. Candidates who are looking for govt jobs in TNPSC can apply for this recruitment notification by submitting online application form before the last date i.e. (31st October 2018) through official website www.tnpsc.gov.in. Educational Qualifications For TNPSC Jobs 2018: Candidates who have completed B.L. Degree, Must have had active practice in ‘criminal courts’ for a period of not less than five years from the recognized university or institution with required minimum marks can apply for TNPSC jobs 2018. The age of candidate who is willing to apply for TNPSC should not be more than 34 Years as on 01-07-2018. Pay Scale: Qualified Candidates for TNPSC vacancies will get a pay scale of Rs. 56,100 - 1,77,500/- Per month. Contenders for Tamil Nadu Public Service Commission Jobs 2018 are selected based on their performance in Written Exam (Pre & Main) and Personal Interview. 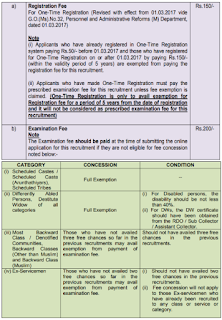 How to Apply for TNPSC Vacancy? First of all you have to logon to the Official website of organization that is www.tnpsc.gov.in. Last date to fill the online application form is : 31-10-2018. Date of Written Exam : 05-01-2019. 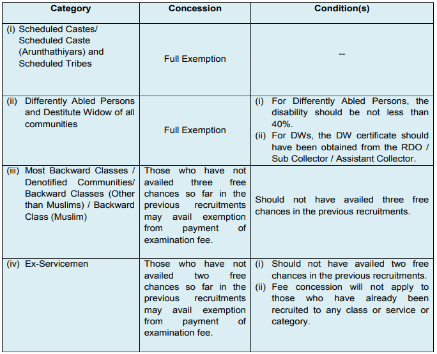 Tamil Nadu Public Service Commission recently releases an employment notification to hire 30 eligible and capable aspirants for Assistant Jailor Posts. Candidates who are looking for govt jobs in TNPSC can apply for this recruitment notification by submitting online application form before the last date i.e. (7th November 2018) through official website www.tnpsc.gov.in. Educational Qualifications For TNPSC Jobs 2018: Candidates who have completed Graduation Degree in any discipline from the recognized university or institution with required minimum marks can apply for TNPSC jobs 2018. 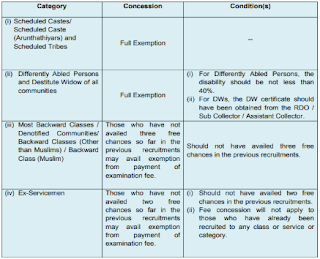 SC/ST/PwD/Destitute Widows Category candidates have to pay Rs. 150/-. The age of candidate who is willing to apply for TNPSC must be between 18 to 30 Years As on 01-07-2018. 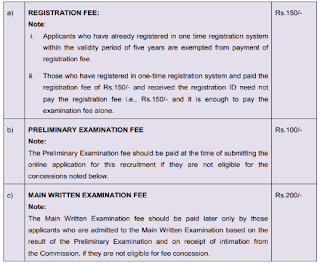 Pay Scale: Qualified Candidates for TNPSC vacancies will get a pay scale of Rs. 35,400 - 1,12,400/- Per month. Contenders for Tamil Nadu Public Service Commission Jobs 2018 are selected based on their performance in Written Exam and Oral Test. Fill Online Application Form in prescribed way and upload scanned photograph and images of documents and certificates before closing date that is 7th November 2018. Last Date to Apply Online : 07-11-2018. Date of Written Test : 06-01-2019. 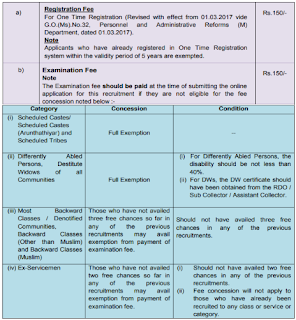 Tamil Nadu Public Service Commission recently releases an employment notification to hire 03 eligible and capable aspirants for Lecturer Posts. Candidates who are looking for govt jobs in TNPSC can apply for this recruitment notification by submitting online application form before the last date i.e. (11th November 2018) through official website www.tnpsc.gov.in. Educational Qualifications For TNPSC Jobs 2018: Candidates who have completed Master Degree in Statistics from the recognized university or institution with required minimum marks can apply for TNPSC jobs 2018. The age of candidate who is willing to apply for TNPSC should not be more than 30 Years As on 01-07-2018. Contenders for Tamil Nadu Public Service Commission Jobs 2018 are selected based on their performance in Written Exam and Personal Interview. Fill Online Application Form in prescribed way and upload scanned photograph and images of documents and certificates before closing date that is 11th November 2018. Closing Date for Submission of Application Form : 11-11-2018. Tamil Nadu Public Service Commission recently releases an employment notification to hire 30 eligible and capable aspirants for Junior Inspector Posts. Candidates who are looking for govt jobs in TNPSC can apply for this recruitment notification by submitting online application form before the last date i.e. (21st November 2018) through official website www.tnpsc.gov.in. Educational Qualifications For TNPSC Jobs 2018: Candidates who have completed 10th / 12th from the recognized university or institution with required minimum marks can apply for TNPSC jobs 2018. Pay Scale: Qualified Candidates for TNPSC vacancies will get a pay scale of Rs. 20,600 - 65,500/- Per month. Fill Online Application Form in prescribed way and upload scanned photograph and images of documents and certificates before closing date that is 21st November 2018. Last date to fill the online application form is : 21-11-2018. Date of Written Exam : 27-01-2019.